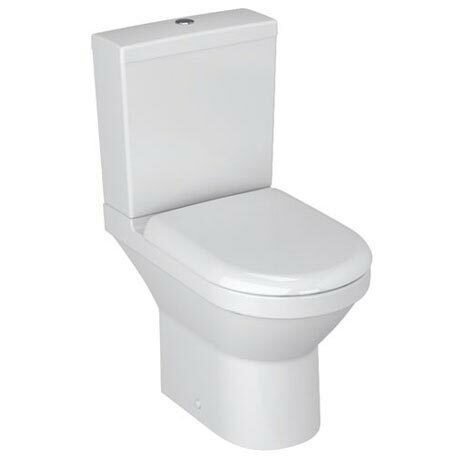 The S50 Compact Close Coupled Toilet (Open Back), part of Vitra's S50 collection of quality designer sanitaryware. With its short projection of 60cm its ideal for cloakroom or small bathrooms. It's minimalist design will look at home in any style of bathroom. Comes with a Vitra 10 Year Guarantee. It fuses together a stunning design and a high quality of craftsmanship, in perfect harmony. It is made from vitreous china to give it a strong and durable body able to deal with the general wear and tear of the bathroom. Available with a choice of standard or soft close seat.